Surprised? Of course math is my favorite content area, BUT there are many positives to integrating reading and writing strategies into your math block. 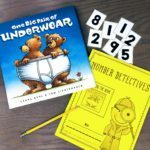 There are so many cool math themed books out there that focus on math topics like addition, geometry, fractions and more! But wait…I almost forgot the best part of using read alouds to teach math. Extension activities! 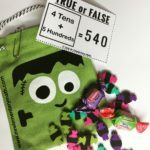 After students are familiar with the book, drop it in a math station with a follow up activity. Can’t think of any? Use the ones listed below as a starting point. 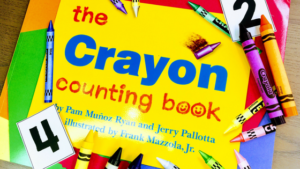 What I like most about this book is the use of crayons for counting. Young kids LOVE crayons and which makes this book even more relatable. Extension Activity: This tip is only if you have a second book. I can’t believe that I am about to say this but tear out the pages of the book (I’m sorry to all the media specialists) and laminate them. Then let students count the number of crayons on the page. If you don’t want to have any part of a book massacre, get a real box of crayons and a set of number cards. Let students pick a random card and then count out the same number of crayons. This book says yes to multiple representations in a big way. Use this to reinforce composing and decomposing numbers. I like to use magnets (shout out to Target) on a magnetic white board to represent how the number eleven is broken apart in each one of the examples. 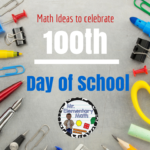 This is a great opportunity for a math talk. For more advanced students, practice writing the equations that match. Extension Activity: Give students manipulatives (snap cubes, color tiles, buttons, etc.) and let them try to decompose a given number as many ways as they can. They can draw their findings and more advanced students can write the matching equations. 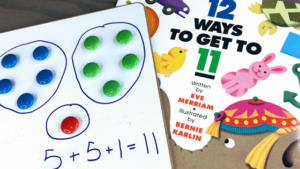 Yet another book that helps show multiple ways to represent a number. And it’s funny! In the book the ants keep changing their marching formations which end up being different arrays. Extension Activity: Change the number of ants and let students show all the different ways that the ants could have marched to the picnic area. Allow kids to create math models and write equations. This fun book focuses on a larger team of racers that keeps getting split into 2 groups. There is also a little surprise ending that offers a great opportunity to teach about remainders. 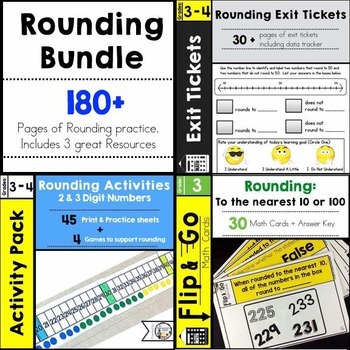 Extension Activity: Provide students with large numbers. Let students keep separating them into smaller groups. Choose numbers that have remainders and ones that do not have remainders. Then let them sort the numbers into two groups (Remainder and No Remainder). I LOVE the way this book is intentional about the use of math vocabulary. I have found that a lot of our kids struggle with understanding what fractions represent and don’t know how to express parts of a whole. This book presents different scenarios where students visualize themselves as “the fraction”. 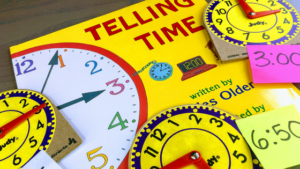 Extension Activity: Make this book come to life by having your kids act out the different scenarios that are presented on the pages and use the math vocabulary. This book is great to use but very information heavy, so I recommend breaking it up into parts or only using the sections that you need for your specific lesson. There are sections about parts of a whole, weight, money, and more. 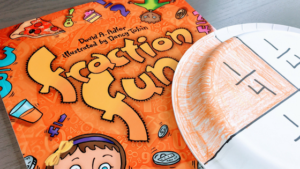 Extension Activity: There is actually an activity that is described in the book that would be a great activity for math centers. It involves using a paper plate and and diving it into equal parts. Awesome book for teaching shapes and examples of shapes in real life. Each scenario starts off with a regular shape and then it becomes part of a larger picture. You can get real creative and ask some good questions when reading this one to your kids. Fun story about an unsatisfied triangle (maybe having a mid-life crisis? LOL) that transforms into other shapes. Since his looks change, it can lend to a good discussion about shape families and characteristics. Clean and clear photos of coins with nice visual representations of adding coins that include coin names and amounts. These photos help reinforce using skip counting when adding money. Extension Activity: There are two pages at the end of the book with photos of coins and missing amounts. Have student write equations that match the photos. 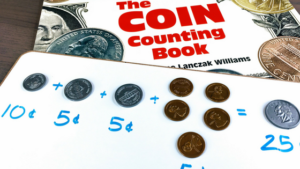 For more practice have students use real coins or fake money and create their own coin scenarios. A teacher favorite. Alexander starts off rich and you can guess the rest from the title. (I understand Alexander. I have been there before too.) This is a good story for teaching different subtraction strategies like counting up, expanded form, bar model, and more. Extension Activity: Have students work in partner pairs. Let them create their own real world money problems using the names of classmates. Then let their partner solve it. What I like best about this book are the real life photos (i.e. a traffic light, soda cans) that show real world examples of fractions, decimals and percents. 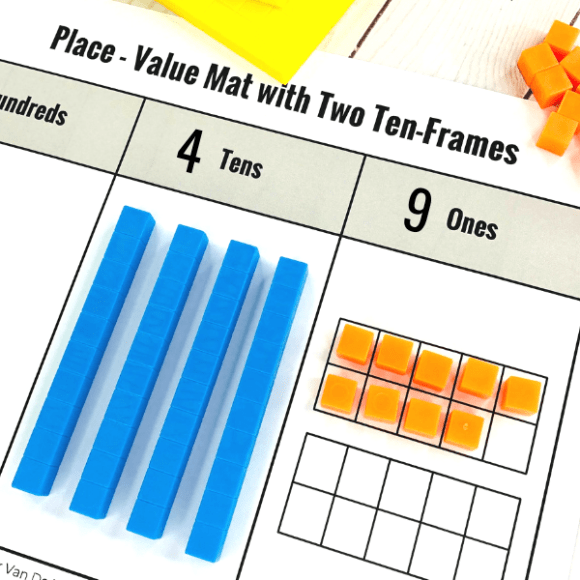 Extension Activity: This is a great opportunity for your students to brainstorm other real life representations of fractions, decimals and percents. Give them a camera and let them hunt for some in the classroom. You may be surprised at what they find. This informational book is a nice overview of all things time. Seconds…Minutes…Hours…Days of the Week…Months…Years…Digital…Analog! Extension Activity: Throughout the book, there are multiple questions for students to answers. As an extension, I would just put out some more problems with some clock manipulatives. Or have students use clock manipulatives to represent times that are written on sticky notes. A little inch worm talks his way out of certain death and measures his way to safety. Kids love this book, so why not use it to introduce measurement? Extension Activity: This is such a popular book, it’s an award winner after all. Use colorful inch worm rulers or make your own and let students measure things around the room. Don’t forget to have them record their findings. Like Fraction Fun, this book is jam packed with information making it a great book to use when introducing new topics. Again, I would recommend only reading the pages that you need. And we are at the end. I hope you enjoyed reading about my Top Read Alouds for Teaching Math. 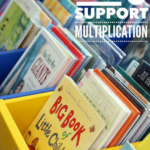 Be sure to download my list of top math read alouds because there are some additional books that I didn’t mention in this post. ** If you are interested in any of these books I included an Amazon Affiliate link to each one. FYI, if you purchase something through an Amazon link I get a small commission, at NO extra cost to you. 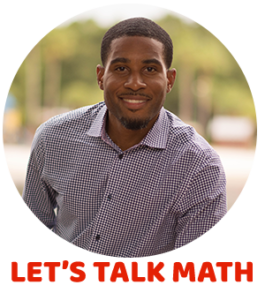 This helps me keep the site going so that I can share more and more math tips and ideas with my Math Fam! Great list and activities. 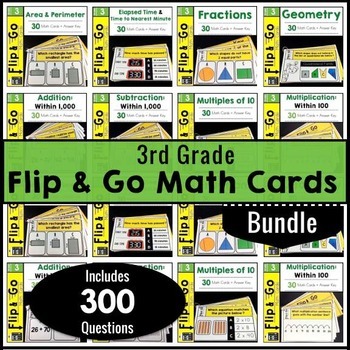 I also like to use A Remainder of One by Elinor Pinczes for division and multiplication, Ed Emberly’s Picture Pie for fcations, and Bunches and Bunches of Bunnies by Louise Mathews for multiplication. I hope you have a really great summer! Thank you so much for sharing this list with us! Your welcome Diamantina. I hope that it is useful. Do you have any favorite read alouds that you use in during your math lessons?